A couple of chapters ago we promised you a Forsyte saga, and here it is, with two family trees to start with, and more complications to follow. There are intriguing loose ends in the facts, but who knows when they might turn up? In the meantime, we can indulge in a little speculation. 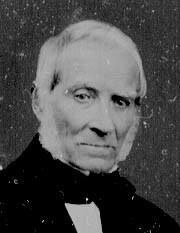 David Bremner was the oldest son of Alexander and Christian, and brother to Catherine, Donald and Sarah. As we saw in the previous chapter, they were born in Wick, but around 1839, when the children were 12, nine, six and three, they moved to Cork in Ireland, and another sister, Christina, was born shortly after they moved. 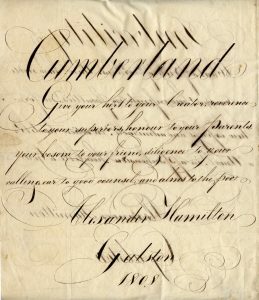 Alexander was a merchant and became a justice of the peace, so we can assume that theirs was the privileged upbringing of the Anglo Irish at that time. 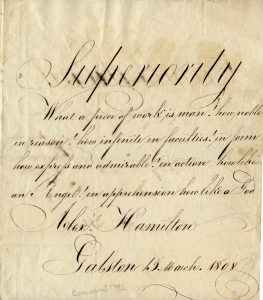 When Catherine was 23, she met the 31 year old Robert Hamilton from Kilmarnock. Robert was a dyestuffs and colour merchant working for Thomas Allan & Co. at 116 St Vincent Street, Glasgow. How he ended up in Cork we don’t know; maybe it was a business link with Catherine’s father that brought him there—Robert’s firm is listed in Post Office Directories as Salt Drying—did they sell salt to the butter industry in Cork? He is said to have been ‘the strongest man in Ayrshire’ in his youth, and could leap onto a chest of drawers. He was obviously virile and attractive in his youth—though it’s not something that strikes one immediately from his photograph as an older man! 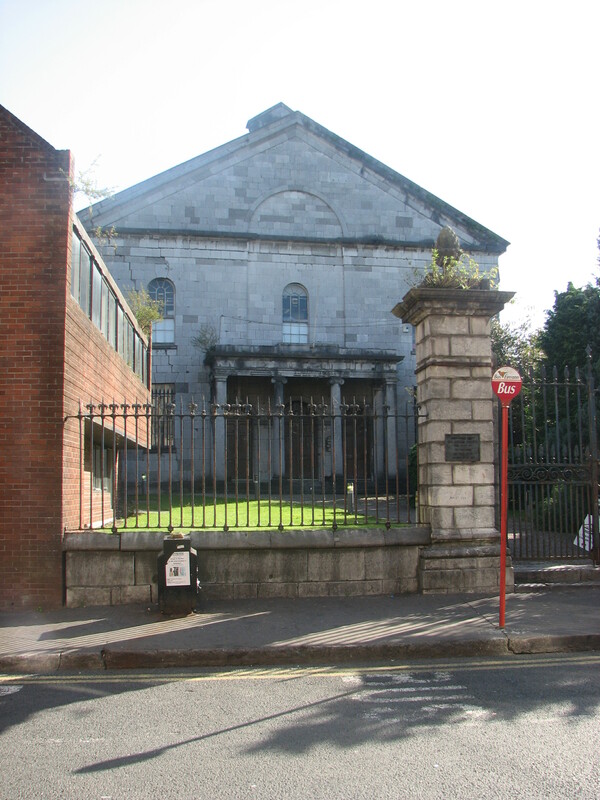 However it happened, they were married in Christ Church, Cork in 1853, and moved shortly afterwards to 212 Renfrew Street Glasgow, where Catherine gave birth to Alexander in 1856, twins Catherine and Robert in 1857 and Christina in 1858. 212 Renfrew Street lies parallel to, and overlooking, Glasgow’s main thoroughfare, Sauchiehall Street, and still exists today as the Victorian House Hotel. 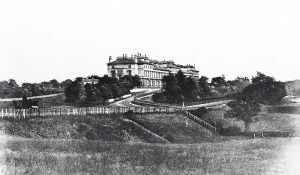 But 1858 was the year that there was another happy event; Catherine’s older brother David married Robert’s little sister Agnes in her home town of Kilmarnock, south of Glasgow on 15 September, where her father Alexander was a solicitor and town clerk residing at Wallace Bank, Wellington Street, the impressive gates of which still survive. 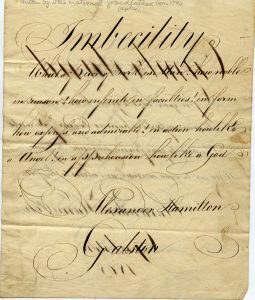 David set up his own business (D. Bremner & Co. at 56 Howard Street, Glasgow), and is described as a produce merchant (also cotton merchant and American Produce merchant). 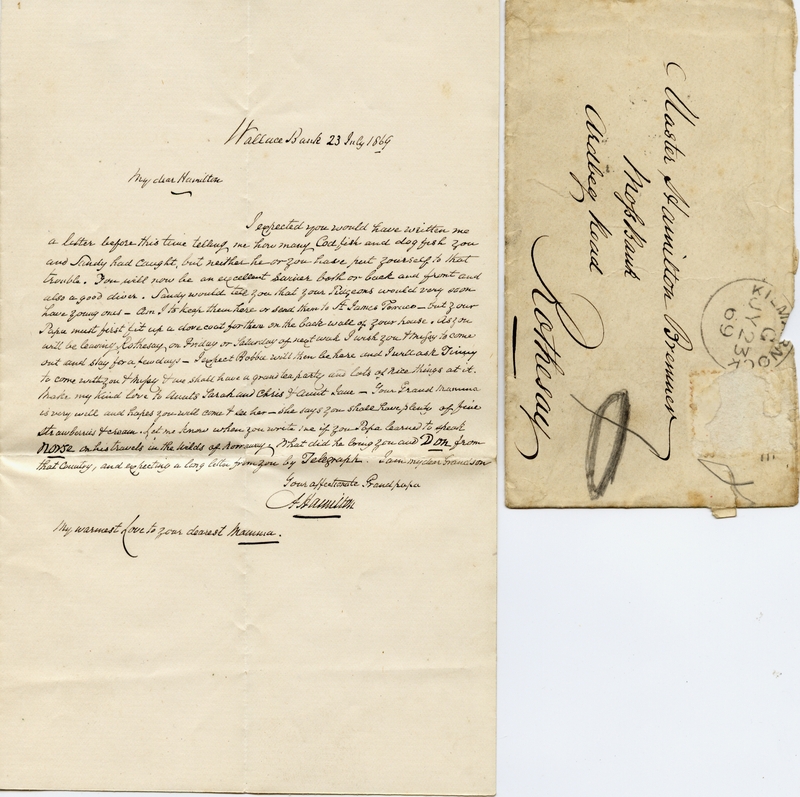 He and Agnes, aged 31 and 25 respectively, moved into 46 Windsor Terrace. 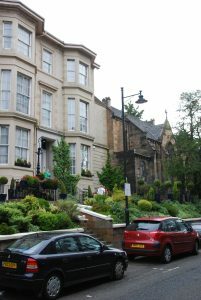 Today it’s called Kirklee Terrace, and it’s just off the Great West Road in Partick, about a couple of miles from the centre of Glasgow. 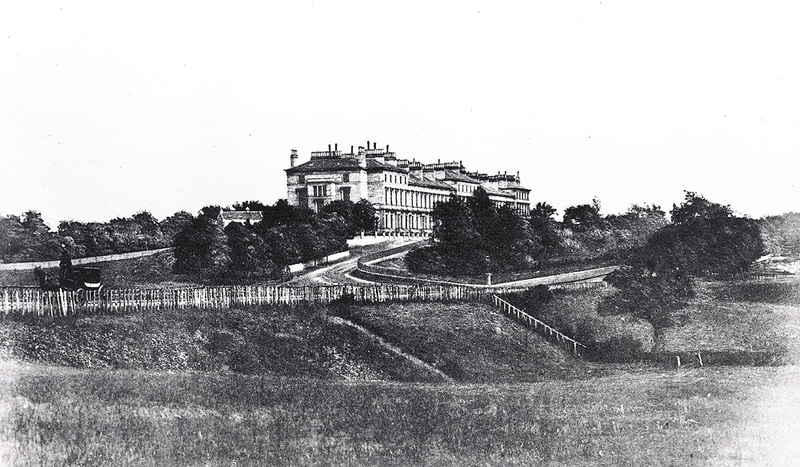 The contemporary photograph shows just why it was one of the most sought-after addresses in Glasgow at the time. Clearly business was good, or Daddy supportive. 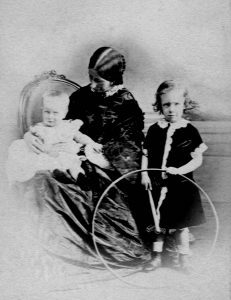 But for David’s sister Catherine it was back to the business of having babies; Allan arrived in 1861. She must have been completely exhausted. 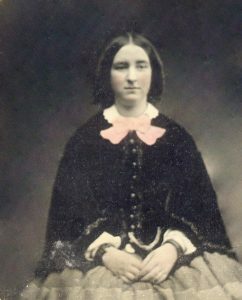 No wonder that in 1861 her little sister Sarah is shown in the census return as being a sister-in-law at 212 Renfrew Street, employed as a domestic servant. Washing nappies, no doubt. 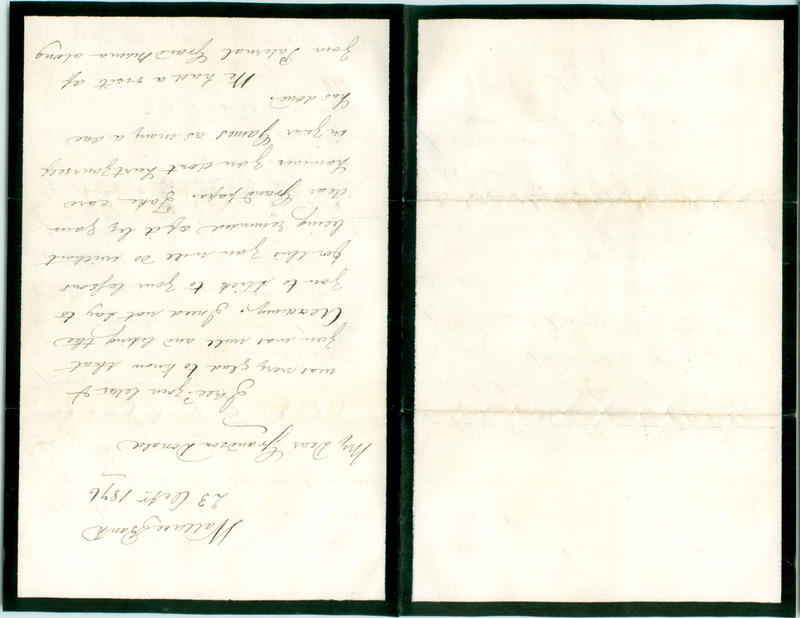 Catherine and eldest son Alexander aren’t at home for the census, and we’ve not managed to trace them yet. Maybe they were back in Cork with her parents? In fact the two families were clearly very close; the houses were only half an hour’s walk from each other. 46 Windsor Terrace at that time contained David Bremner aged 34, wife Agnes, 28, baby son Alexander—and sister-in-law Jane D. Hamilton, 29, together with a couple of live-in servants. But only a couple of blocks from Windsor Terrace, St James Terrace was being extended, and the two families seized the opportunity to be even closer. Robert moved into number 7, one of the original houses, while David became the first occupant of number 10, three doors down in the new extension to the terrace. 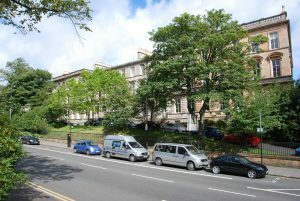 Like Windsor Terrace, St James Terrace still exists, renamed Ruskin Terrace, and with a line of trees separating it from the rush of traffic it’s easy to imagine yourself back in those times. We knocked on the door unannounced, and current owner Hilda Coleman made us very welcome. Internally the house is virtually unaltered, and we were immediately struck by the very happy ambience of the house. There’s a large central staircase with a generous skylight that gives the whole house a light and sunny air. The rooms—large by modern standards with high ceilings—are warm and welcoming. They must have been happy times, with the two families in and out of each other’s houses, and with everything to look forward to. 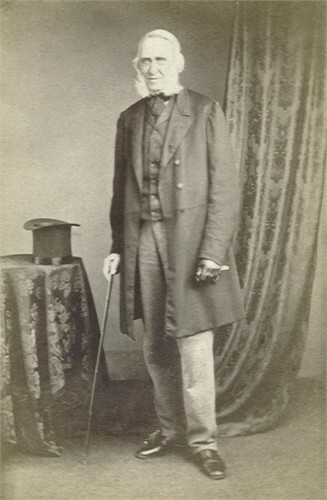 In 1862, Agnes gave birth to Jane Hamilton Bremner; in 1863 James Hamilton was born to Catherine. 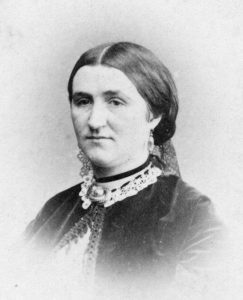 In the following year it was Agnes’ turn with Donald Bremner, followed by David Bremner (1865) and James Charles Chatterton (Charlie) in 1867. And then in January 1868, Robert’s family suffered a double blow. 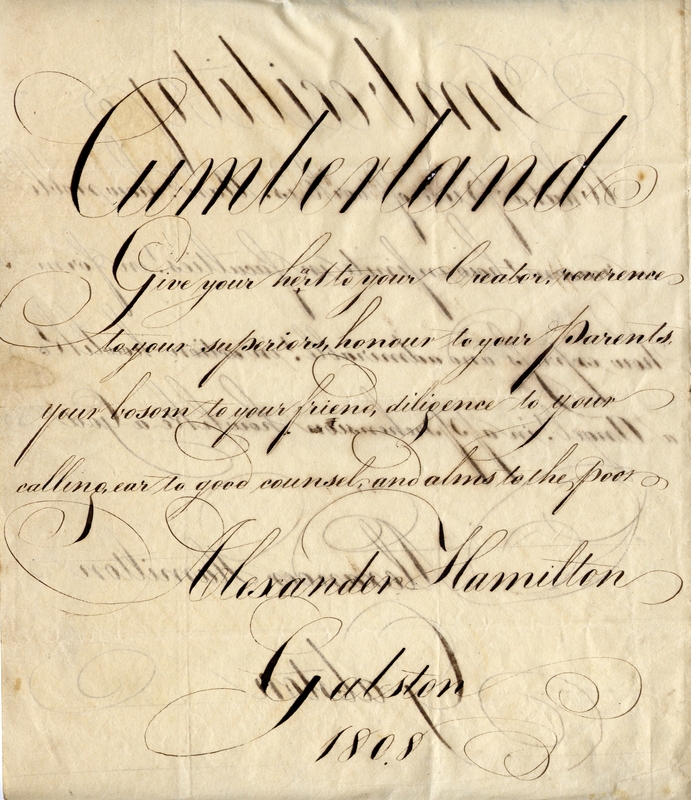 Catherine gave birth to a daughter, Alexandra Bremner Hamilton, and probably to a stillborn twin. 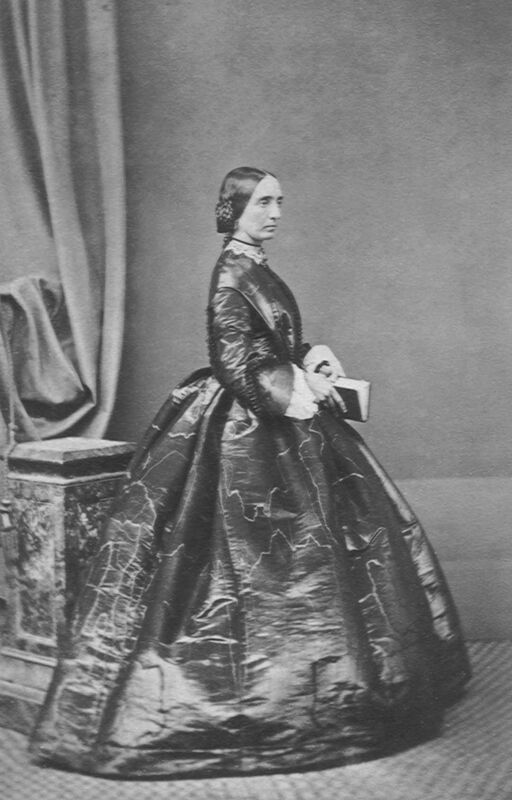 Catherine herself died five weeks later, aged only 38. 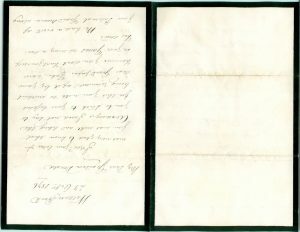 The death certificate gives the cause of death as ‘bowel complaint’ and ‘long illness’ and is signed by her brother David, but one can only assume that she was fatally weakened by the birth of the twins. A site at the famous Glasgow Necropolis, Epsilon 266, was bought for Catherine and the baby (although the stone no longer exists, the allocation is in the name of Elizabeth, with Catherines’ age and date of death. Was this her nickname?). Though death was more commonplace then, even among the wealthier strata of society, this must have been devastating. Seven children ranging from 12 years to five weeks old needed looking after, and it must have been as hard for Robert as it was for David and Agnes. But life went on. 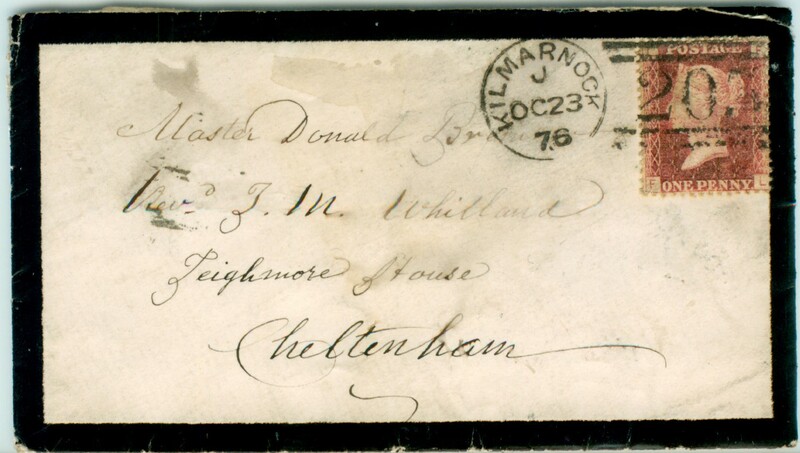 There’s a letter dated 1869 from old Alexander Hamilton in Kilmarnock to grandson Alexander Hamilton Bremner who was on holiday with his family in Rothesay, in which he mentions that David has been on business in Norway. 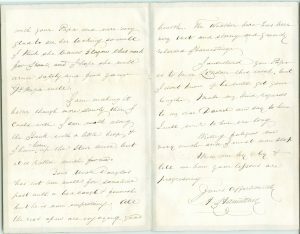 He also mentions aunts Sarah (Bremner), Chris (possibly Sarah’s younger sister visiting from Cork) and Jane (Jane D. Hamilton—she was staying with David in 1861). Grandfather has been looking after some pigeons for Hampy and says that father David needs to get a birdbox made up at home to house them. Young Jane Bremner is known as Missy. Despite the calamity of the year before, it was a close, loving family. In 1870, David and Agnes gave birth to son Henry. In the 1871 census Robert, age 49, has Alexander (15), Robert (13) & James (7) with him at number 7. Sarah Bremner and the Hamilton daughters aren’t listed at either address. David (44) has a new business address at 80 Great Clyde Street and has children Alexander (10), Jane (8), Donald (7), David (5) and baby Henry. His wife Agnes (38) and son James (Charlie) (3) are staying at her parents in Kilmarnock. 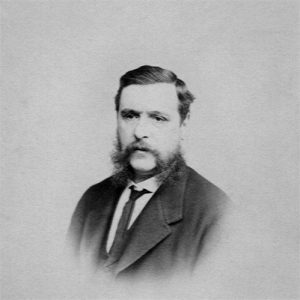 In the spring of 1872, David and Agnes gave birth to Frederick, and in the autumn there’s another bombshell. Robert—by now aged 50—married Catherine’s sister Sarah (aged 35). They aren’t in the Scottish records because they married in Neuchatel, Switzerland. Apparently it was illegal to marry one’s sister-in-law until 1907, which might explain why the marriage took place abroad. They moved away from St James Terrace at the same time to Govan on the other side of the Clyde. 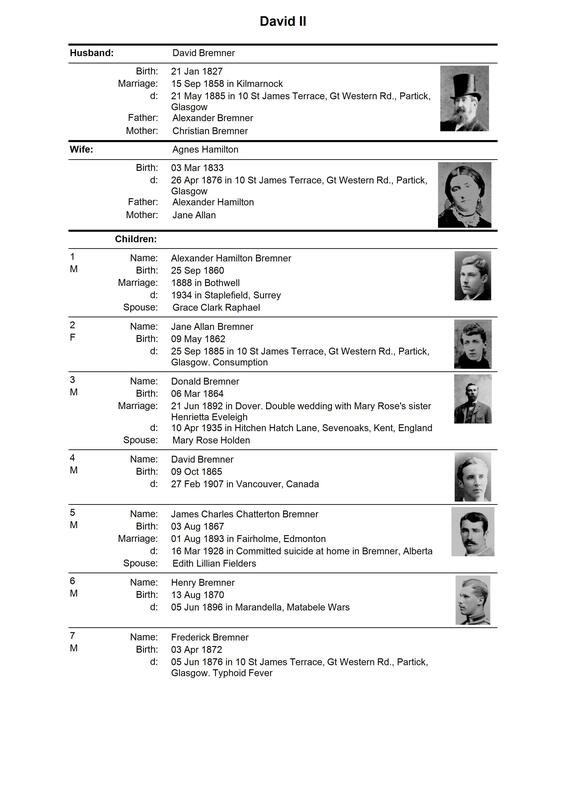 It’s hard to know whether this was due to social stigma or it was just pragmatic, but it’s interesting that the family records kept by Donald in the 1930s didn’t record Alexandra, or indeed the next Hamilton cousins. In 1873 Robert and Sarah had twins, Sarah and David Hamilton. 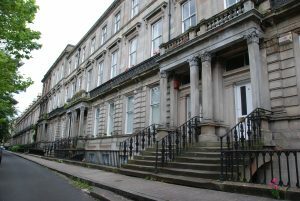 They had by this time moved to 23 Sandyford Place, a large town house (now McPhabbs Bar) on the south side of Sauchiehall Street, but still within easy reach of St James Terrace. 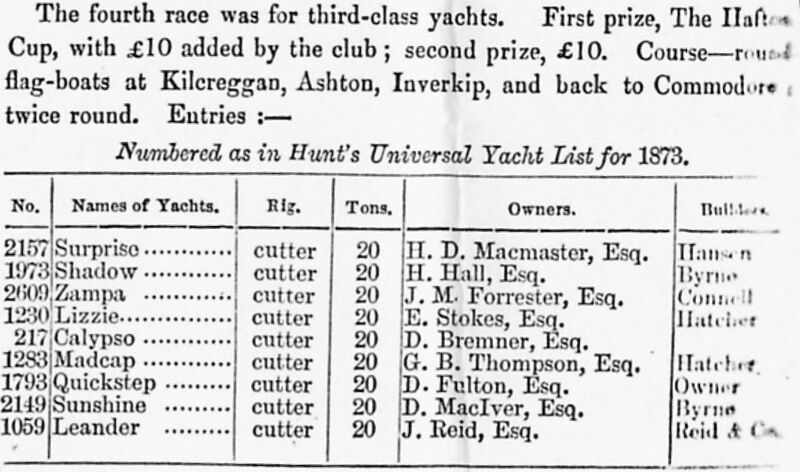 David Bremner was clearly doing okay, because he owned a 20 ton yacht, the Calypso, which he raced with not a lot of success in the 1873 season of the Royal Clyde Yacht Club. Ian still has a rather nondescript trophy, and a mahogany marlinspike from that period. We don’t have complete records of the Bremner children’s schooling yet, but at least David and Harry certainly went to Stark’s Academy at 25 Buckingham Terrace. It will come as no surprise to find that Buckingham Terrace was yet another Terrace off the Great Western Road—in fact it was more or less next door to St James Terrace. James (Charlie) went to the Kelvinside Academy which opened in 1878 and was also within walking distance. 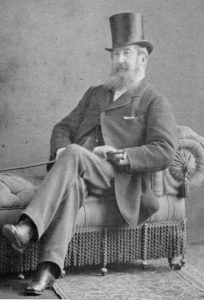 But in 1876, David had his annus horribilis, just as Robert had eight years before. 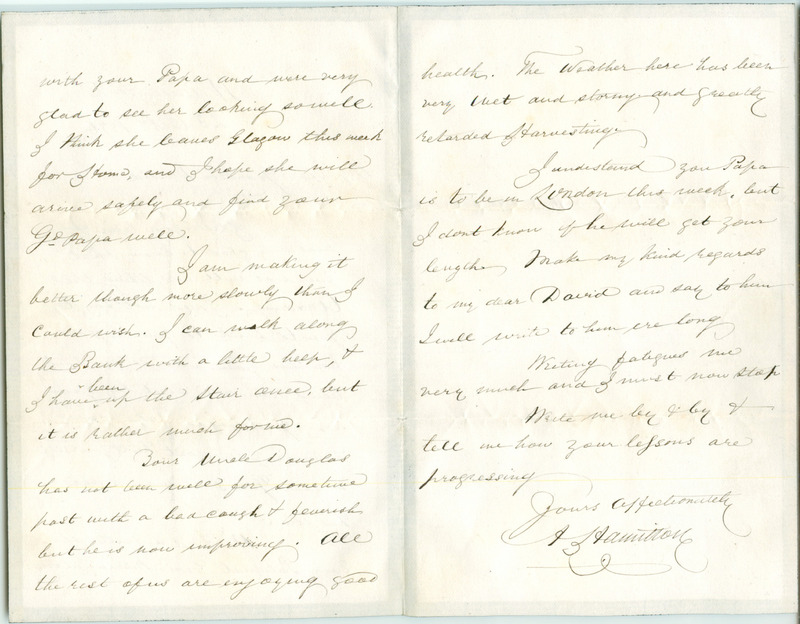 In the April, Agnes died suddenly aged 43, and in June, Frederick died too, aged only 4. 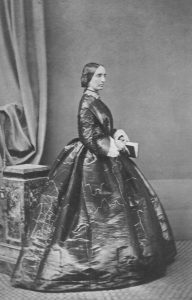 Agnes’ condition is described as ‘Congestion of the Brain’ which was a nineteenth century term used to describe many conditions including hydrocephalus, stroke, cerebral haemorrhage, meningitis, and sunstroke. At any rate it had only lasted 12 days according to the death certificate. 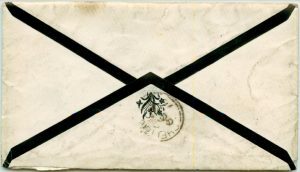 Frederick died of a typhoid fever that only lasted ten days. 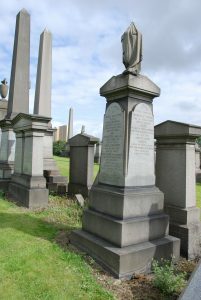 A plot (Epsilon 265) was bought in the Glasgow Necropolis next to the Hamilton one for them. This left David with Alexander (Hampy) (15), Jane (13), Donald (12), David (11), James (Charlie) (9) and Harry (6), with Agnes’ sister Aunt Jane in loco parentis. 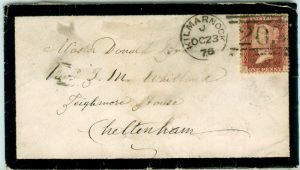 By this time Donald and David were at Cheltenham College in the south of England; Donald was about to go on to the Army College at Woolwich, and David had only just gone there. By the 1881 census, Robert (59) was living at 6 St Alban’s Terrace, Govan, Glasgow with Sarah (45), and children Catherine (23), James (17), Alexandra (13) and twins David and Sarah (7). Number 10 is looking very empty by comparison; David is there, with his widowed mother Christian (who’d moved from Cork following the death of husband Alexander), and sons Charlie and Harry. Jane (18) and Hampy (20) are staying at Kilmarnock, where their uncle James Hamilton has inherited the house following the death of his parents. 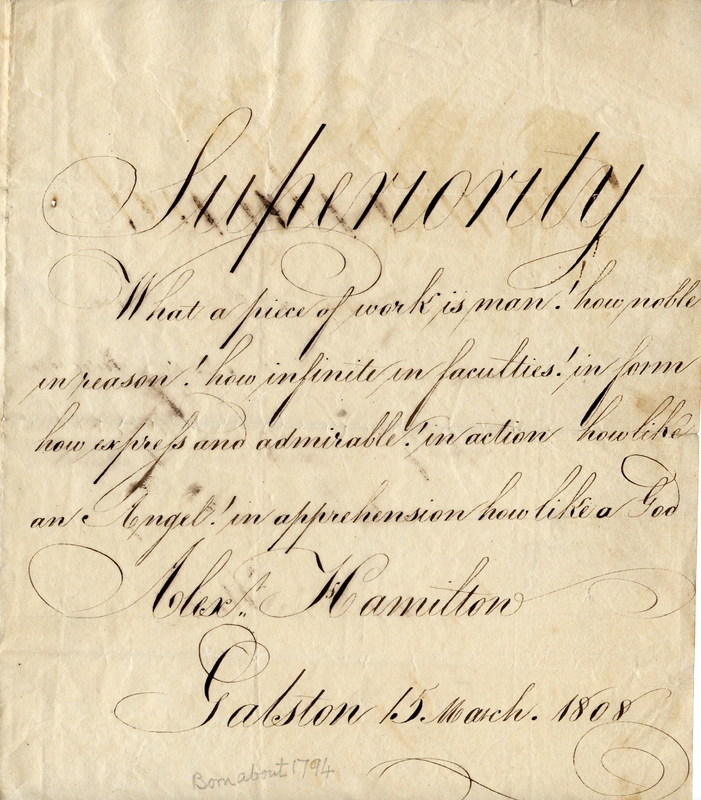 He is unmarried, and the house is being run by his sister Jane (who is presumably no longer needed at 10 St James Street), with two servants and a nurse. And then the story moved into its final phase. 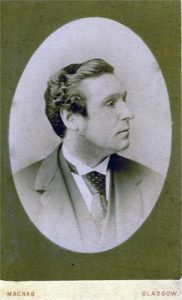 In May 1885 David died at St James Terrace, aged only 58, and in September his only daughter Jane died, aged only 23. Both died of consumption (tuberculosis). 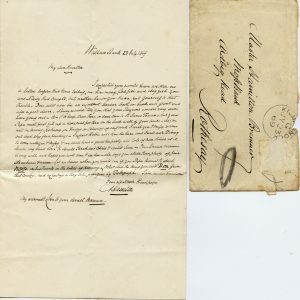 The probate for his will shows that he was worth about £20,000 when he died (excluding the house, which isn’t mentioned—presumably that had been transferred to Hampy before his death). 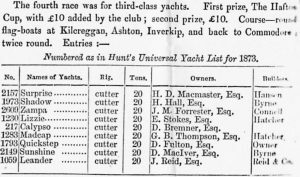 In addition to life insurances and bank holdings, he holds shares in about five ships, and a small remaining share in a yacht. 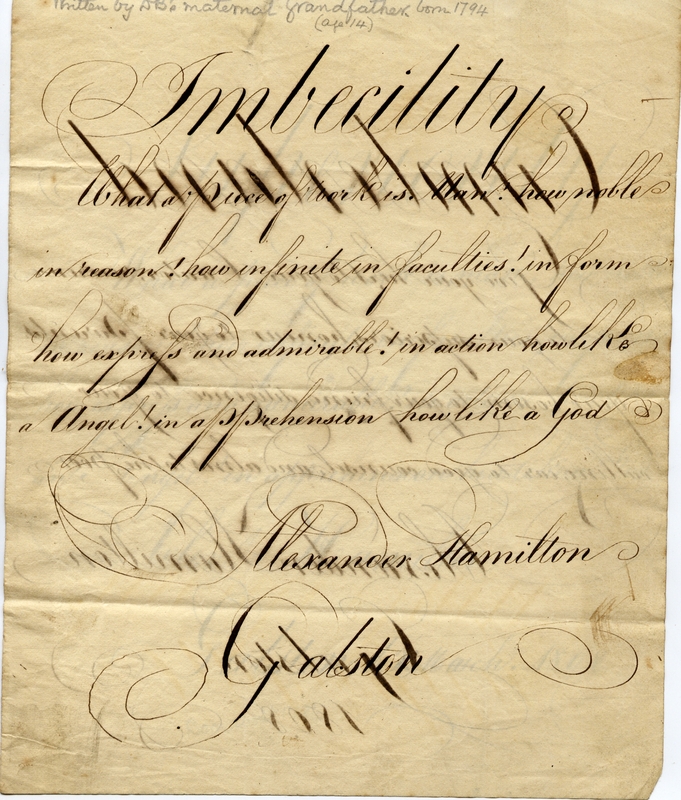 £20,000 is roughly equivalent to £3,000,000 today, and although there was a 25 per cent inheritance tax, each child was well provided for; in Jane’s probate, the £2900 she inherited (worth around £250,000 today) is clearly shown, although she didn’t gain much benefit from it, poor thing. 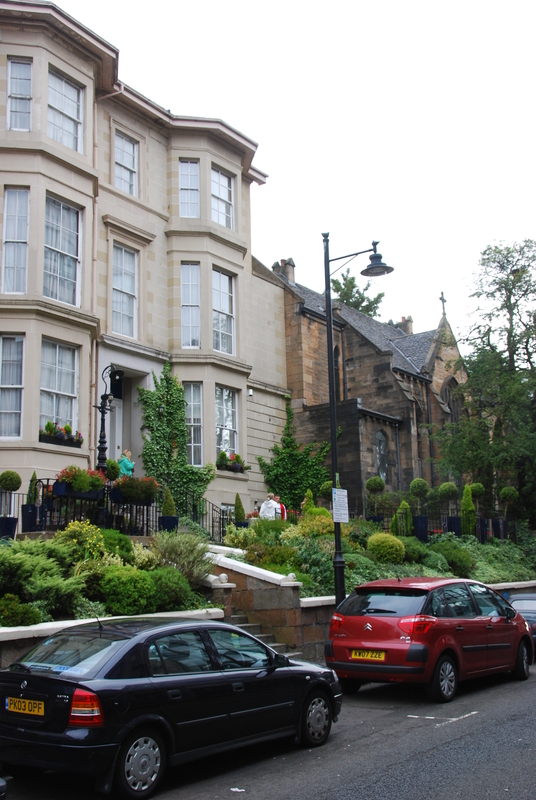 On 9 September 1886, Robert died at 128 Byers Road, Partick, and exactly three months later Christian died too. 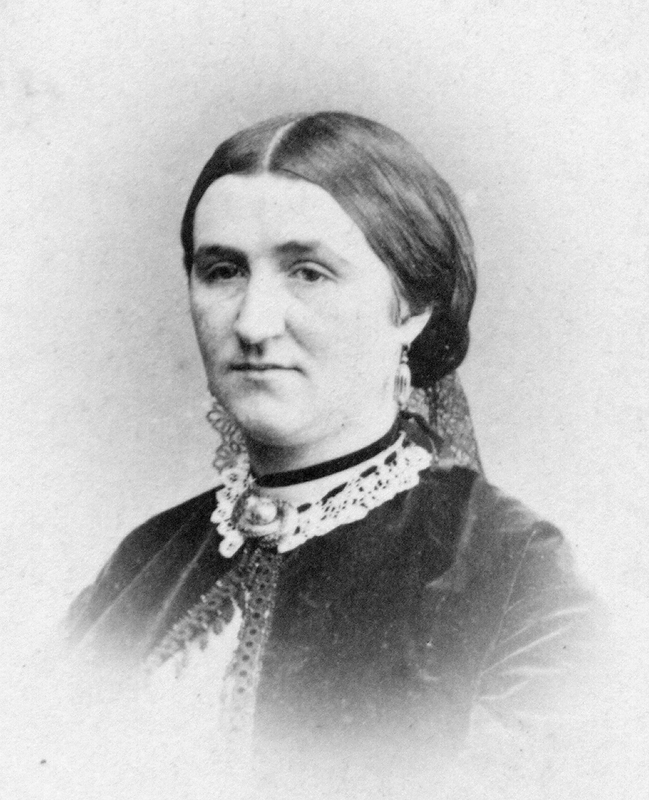 She’d outlived three of her five children (Sarah and Christina McCarthy still survived). All of them, David and Jane, Robert and Christian, were added to the family plots next to each other in the Glasgow Necropolis. Together for all their adult lives, they were together in death too. Unfortunately the Hamilton memorial no longer survives, but a trip to the Necropolis is still a rewarding experience. This is the Bremners’ story, so the Hamilton one isn’t as fully traced. 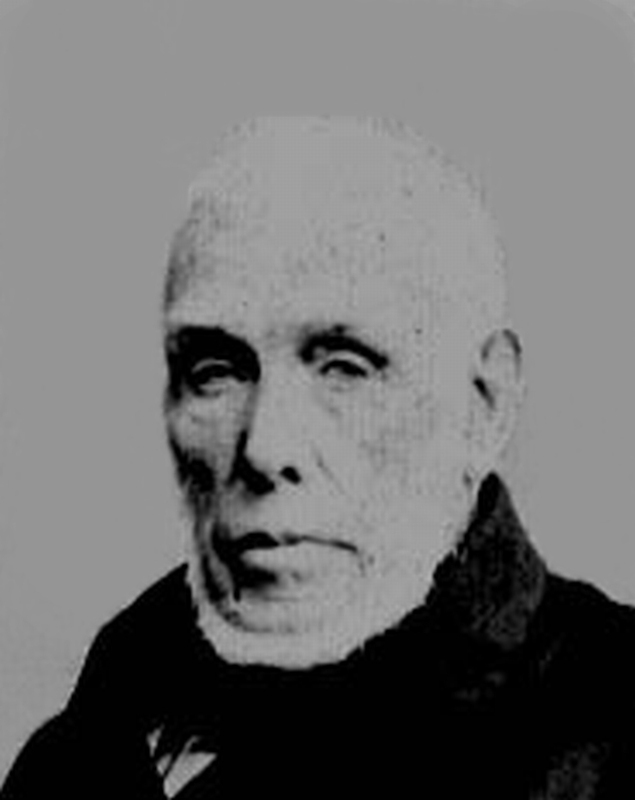 Family legend has it that Robert Jr went to India and became a tea planter with a glass eye. Robert Sr’s widow Sarah and son David moved to 37 Woodstock Road, London in time for the 1891 census. David is listed as an apprentice electrical engineer. In 1912, mother—and possibly daughter—died in West Ham, London. Mother was 75, daughter was 38. We’ve been unable to trace David after this. I was curious, however, to try and find Alexandra Bremner Hamilton. 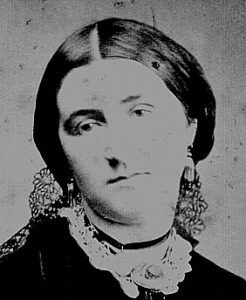 She was the surviving twin of Catherine’s last birth, and her middle name intrigued me, coupled with the fact that my own daughter’s middle name is Alexandra by coincidence. And here comes the intriguing part. The majority of the work on this family tree was done by Donald (b.1865). He was eight when his uncle Robert married his aunt Sarah. He must have met Alexandra who survived when her mother and stillborn twin didn’t. 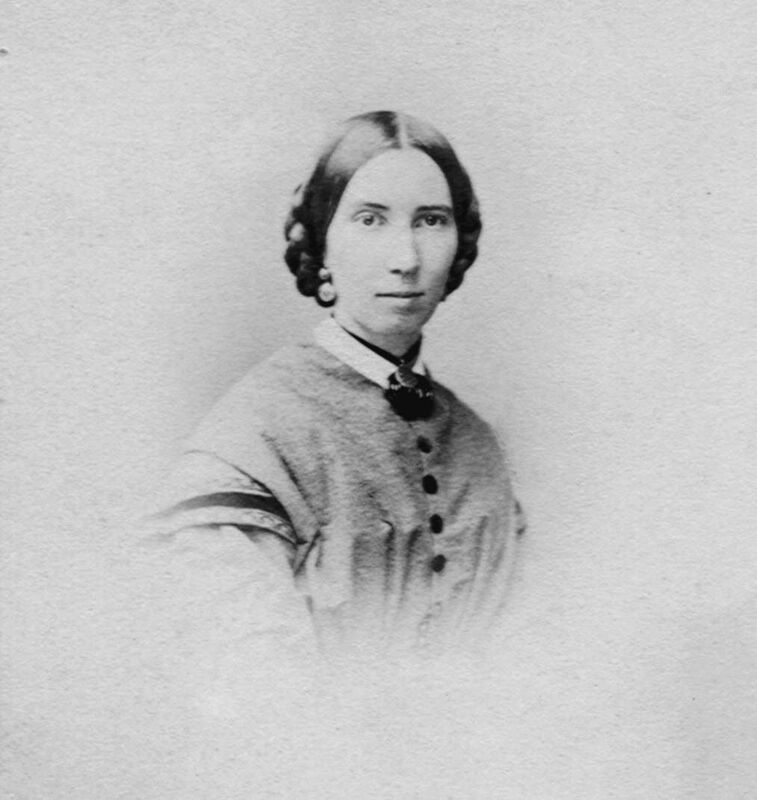 He must have known of the twins David and Sarah born to his aunt Sarah, who was in and out of their house throughout his childhood. And yet there is no mention of them in the family tree, and in the 1900s, when he was Assistant Commissioner of the City of London Police and living in the centre of London, he didn’t, as far as we know, keep in touch with his aunt or cousins who were relatively close by in West Ham. Why not? Ignorance is clearly no excuse. It seems unlikely that religious beliefs came into it; the monument at the Glasgow Necropolis has no reference to religion at all. So was there some unspoken skeleton in the cupboard? Is it possible that Robert—energetic, restless, virile Robert, and his little sister-in-law Sarah, who was always popping in and out of the two houses—had something going even when poor Catherine was still alive, and this was the thing that could never be forgiven? Who knows? As for David’s family, they had varied, exciting and interesting lives, and deserve a chapter of their own, before moving onto Donald and the next generation proper.